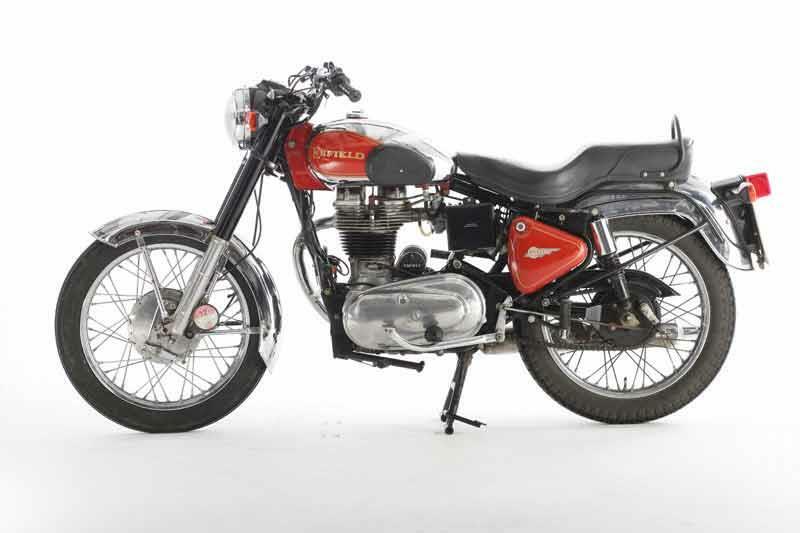 If you want to travel back through time to the 1950s then the Royal Enfield Bullet 350 is the bike for you. Great engineering details, and it actually makes a pleasant rural commuter bike, returning 70mpg or more at a steady 55mph. Needs TLC of course, like most old classics, but still undeniably good fun. 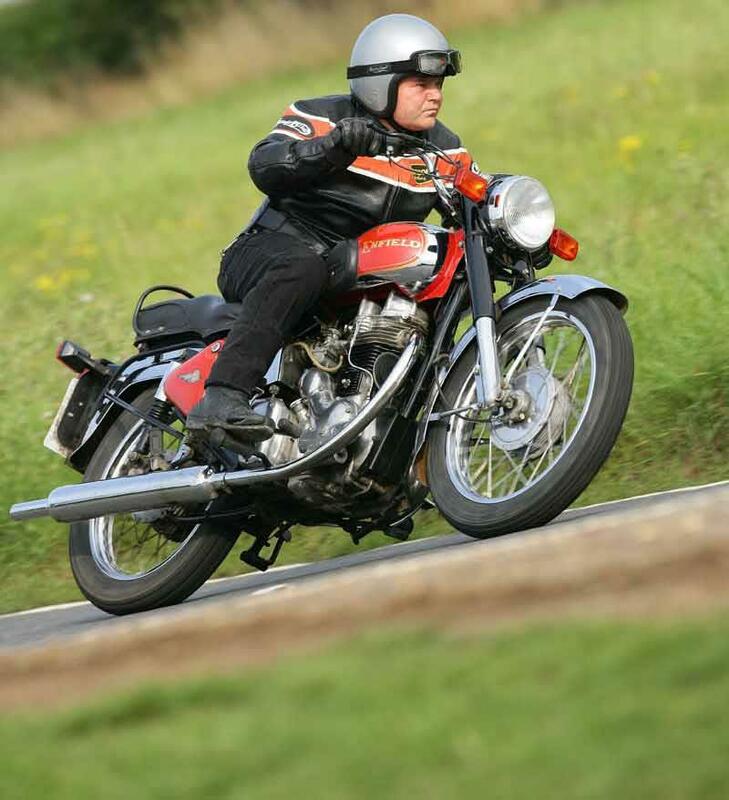 For what it is, the handling of the Royal Enfield Bullet 350 is surprisingly good. 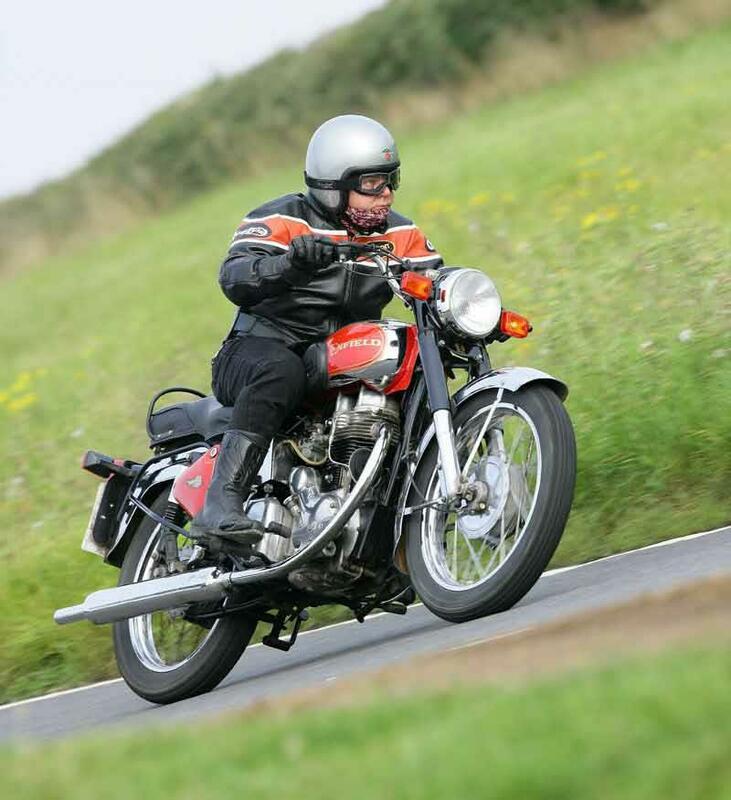 The bike steers very well and you can nip through traffic easily, it just has a certain bounciness on bumpy roads which warns you it is an old chassis design. Drum brakes are a bit scary in any emergency situation. Although the Royal Enfield Bullet 350 made in India today is a different engine from the old 60s British Enfields, it's still a simple, low comp four stroke plodder, with an antiquated gearbox bolted onto it. The 350 Trials version has another 2bhp, but don't expect to be going anywhere fast, as the Enfields were always designed for sedate cruising. The UK importers have spent their own time and money making various mods to the Indian made Enfields over the last decade or so, plus general quality has improved over in India in the last five years or so. Vibes tend to loosen things on the Enfields, but otherwise, you shouldn't have any major problems. 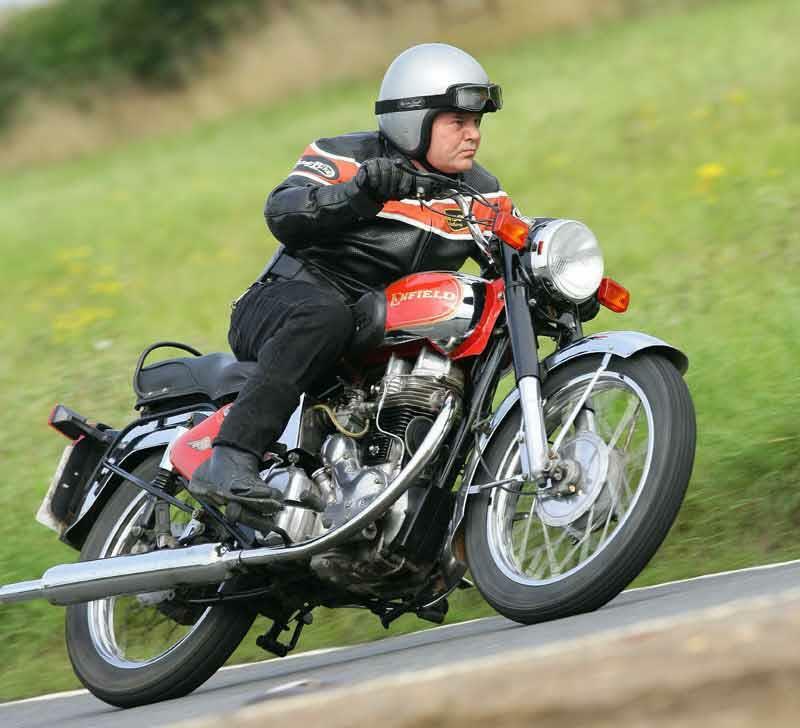 When you consider what it can cost to restore a genuinely ancient classic Brit bike, a new Royal Enfield Bullet 350 for £2000-£2600 seems a bargain - you even get a warranty! Emissions laws have pretty much ended the 350's lifespan in the EU, but a good used example can be had for about £1000-£1500. 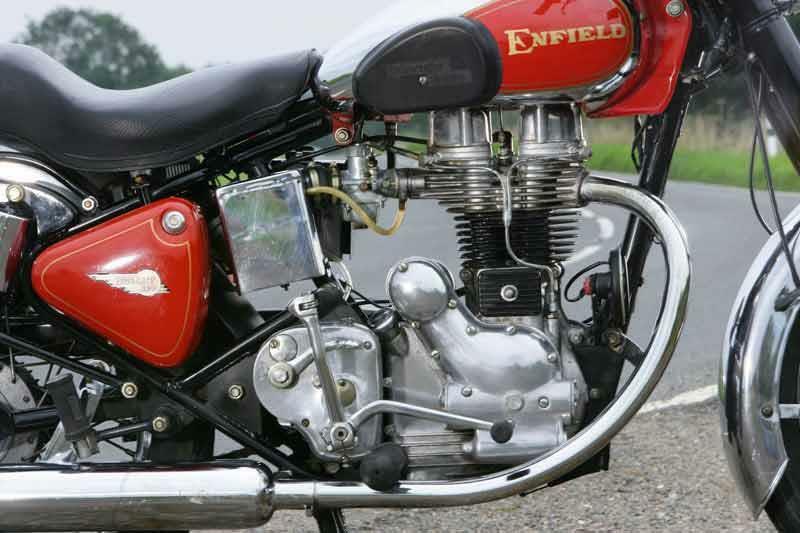 Find a Royal Enfield Bullet 350 for sale. The Royal Enfield Bullet 350 Trials certainly looks the part, with an upswept exhaust, single saddle, alloy mudguards, luggage rack and trailie style handlebars. The 350 Classic is more basic, but the last of them were sold off in 2006 for just two grand new, so you can't complain too much. 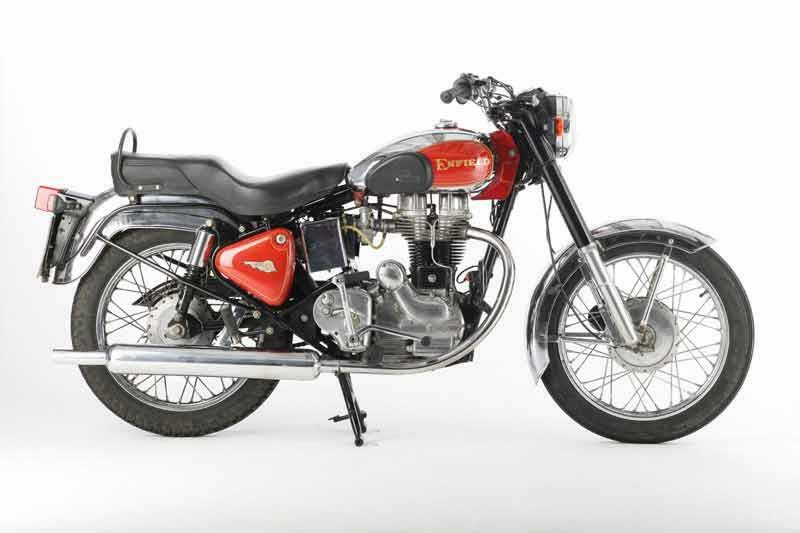 1996: Royal Enfield Bullet 350 imported in small numbers to the UK. 1997: New owners Eicher Engineering acquire factory in India. 2002: UK importer launches 350 Trials variant for £3000. 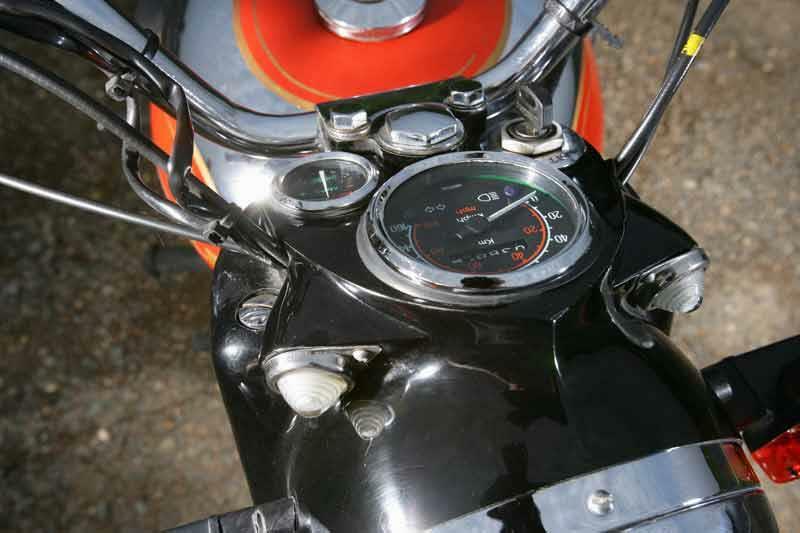 2004: Royal Enfield Bullet Classic Deluxe 350 appears, with chromed parts, 2 tone tank, knee pads. 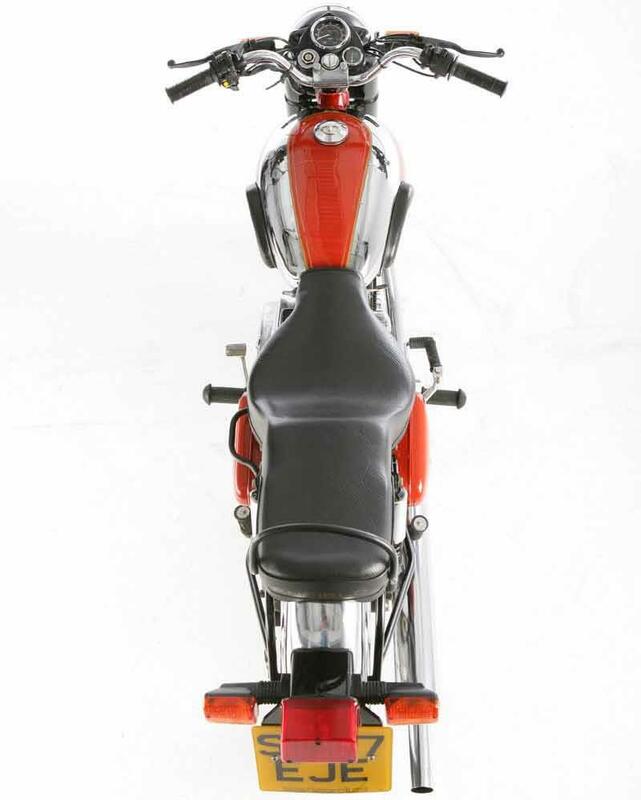 2005: Royal Enfield Bullet Classic Deluxe discontinued. 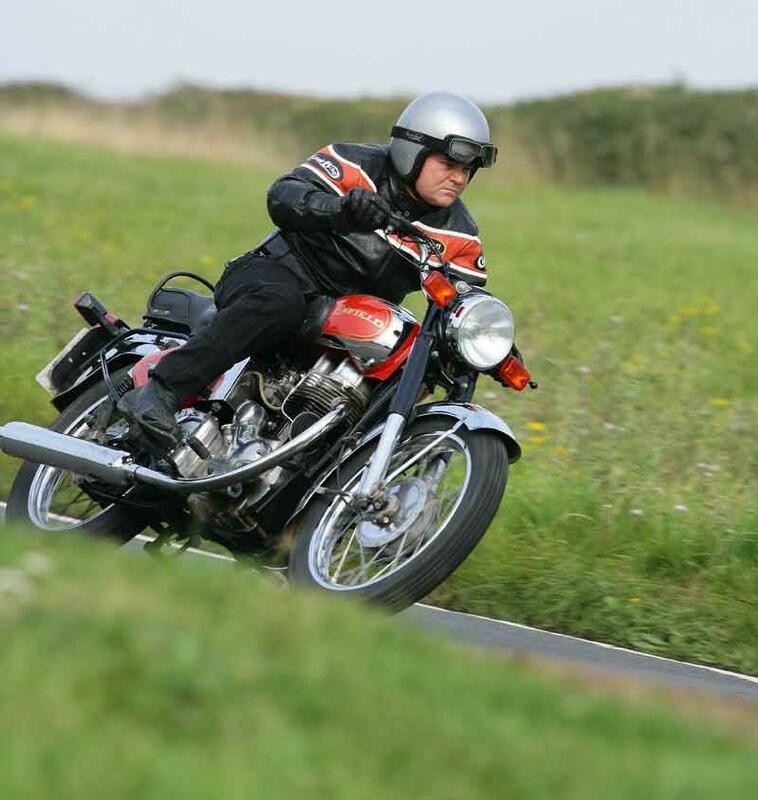 2006: Price of basic Royal Enfield Bullet 350 Classic reduced to £1995 to clear stocks. 350 models discontinued. Royal Enfield Bullet 350 Trials. Royal Enfield Bullet Deluxe version with extra chrome. 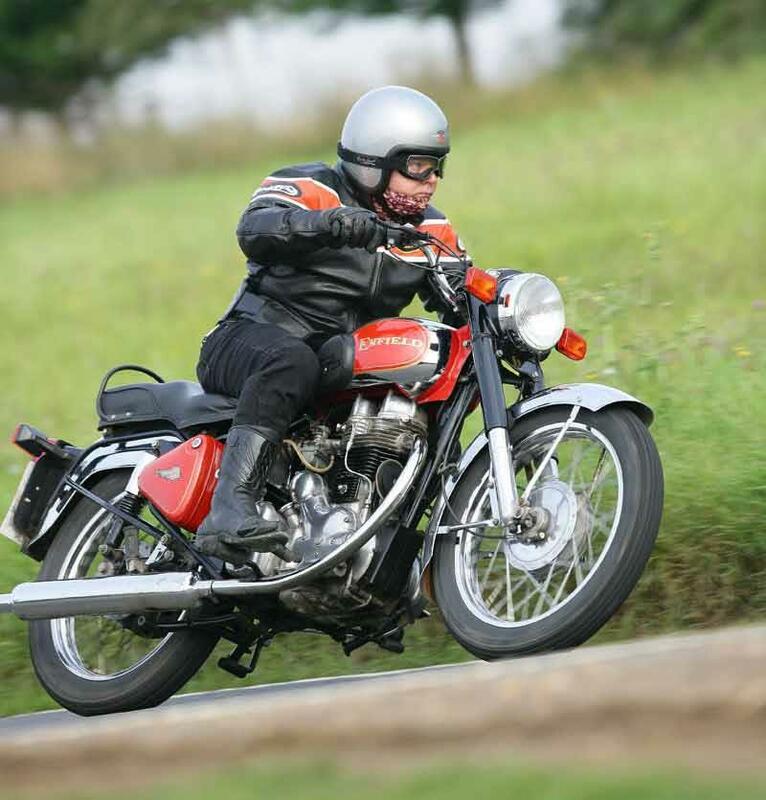 5 owners have reviewed their ENFIELD 350 BULLET (1987-2006) and rated it in a number of areas. Read what they have to say and what they like and dislike about the bike below. It is what it is (a 1950's based bike) so modern standards do not apply, thank goodness for the upgraded drum brakes, modern 12 volt electrics, so much better than 1953 era! 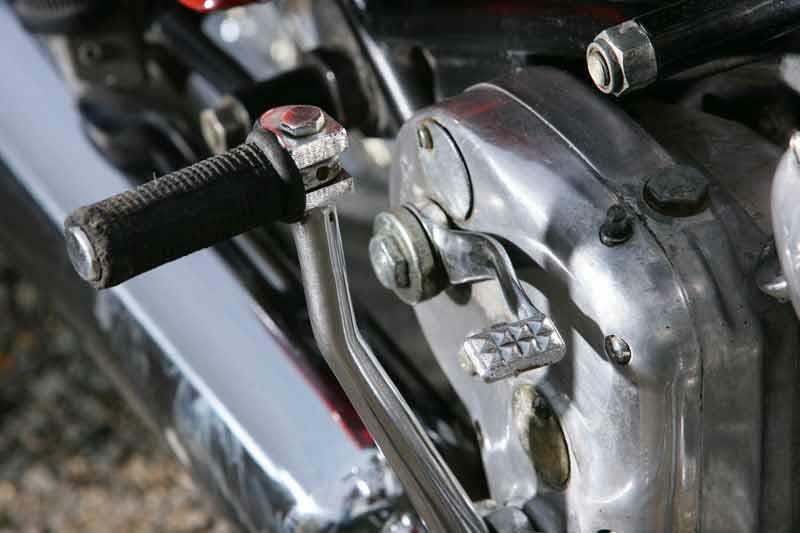 Thank goodness it's not the 1953 6" single sided drum brake, fine in day to day use, practice the art of swerve in an emergency! Some are not well put together, like mine, but others are! Buy one that has proof of a British rebuilt engine as Indian engines are a lottery on quality and longevity. Everything I want from a 1950s style bike ie no complexity, simplicity itself. Dealer bought new, no problems in 2006! I love it, but beware what you're getting into. Performance-wise, it's by far not the best bike out there. But it looks beautiful, it's cheap to run, a pleasure to work on, and it grows on you. It's not a babe magnet, it's an old geezer magnet - you'll get accosted by old men with happy motorcycle memories. Good and quick on cornering. Brakes are OK-ish if well maintained. Seat is comfortable on longer rides. Vibrations are a bit annoying. Gear changes are not quick and take some learning - going from 4th to 3rd at high speed will make a horrible crunching sound unless you more or less match the revs. Nice low down torque. Satisfying sound. Easy to work on - no electronics. Not that powerful - 65 mph is a realistic maximum. Reliably as long as you get to know the bike, and carry a tool kit with you! Sometimes bits vibrate loose. Great parts availability (eg. Hitchcocks). Easiest bike ever to work on. There are good manuals available (eg. Pete Snidal's manual). 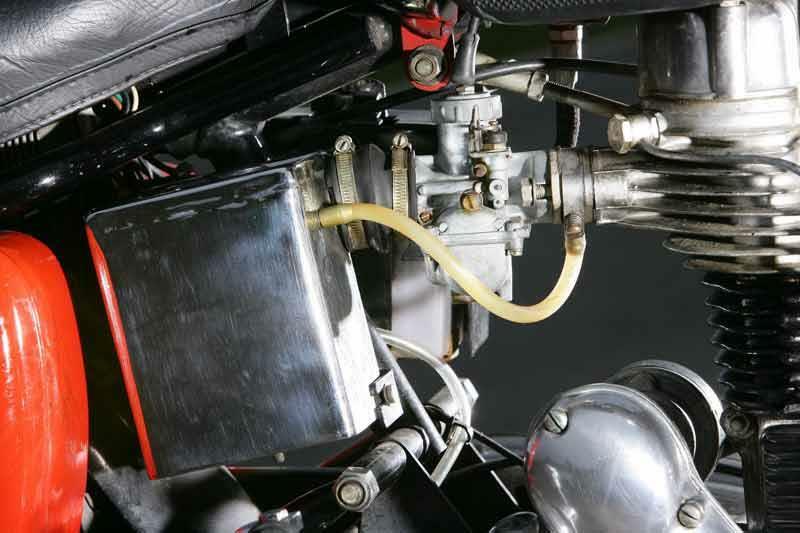 I recommend some performance upgrades: a short bottle exhaust and carb rejet to suit. An extra tooth on the front sprocket to take the gearing up a tad. My gearbox needed an o-ring over the lever to stop it oozing. A rubber headed chain tensioner for the primary chain (available from Hitchcocks) reduced the vibes, as did handle bar end weights. Craven panniers or top box look the part - you can find them second hand for cheap. Take your time with this one and you'll get the idea. It's slow, really slow but steady. The handling is surprisingly good though with quite a short wheelbase (1370mm which is the same as a 2013 CBR600RR. Brakes are not a strong point either and thinking ahead is a good idea. Personally for all its faults I enjoyed the bike and when it's back together again then I'll be grinning like a Cheshire cat. p.s. It's not in bits 'cos it stopped working, it's in bits 'cos it got taken off me after a bankruptcy and left in a garden for 7 years. Me personally, I couldn't get me head round the gears being on the right hand side, but there is a model with left hand sided gears,but i think that's the 500.